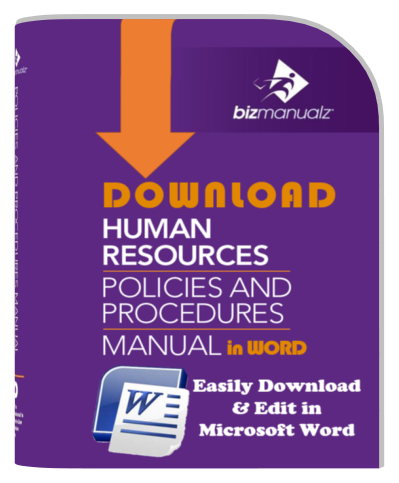 The HR Document Management Procedure defines the methods and responsibilities for managing and controlling documents used to provide work direction or set human resources policy. 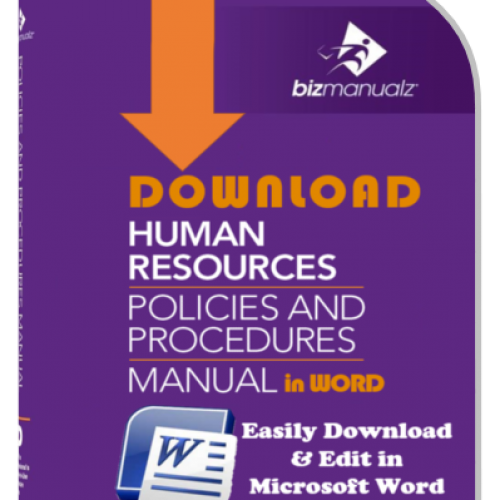 The HR document Management procedure also defines methods for human resource document revisions, approvals, and distributions. 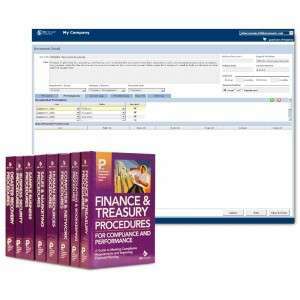 Department Managers are responsible for ensuring the relevant versions of documents are available at the points of use and that they are legible. 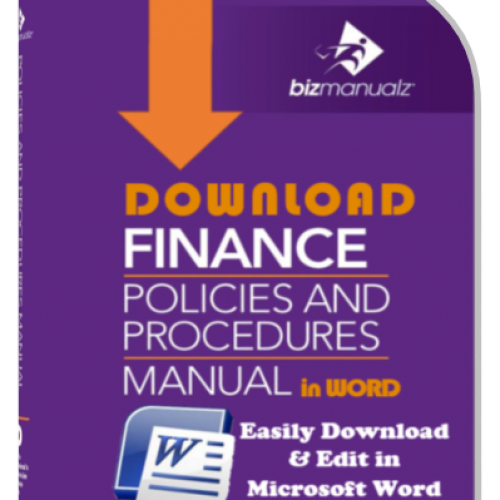 Controlled Document – A document that provides information or direction for performance of work is within the scope of this procedure. 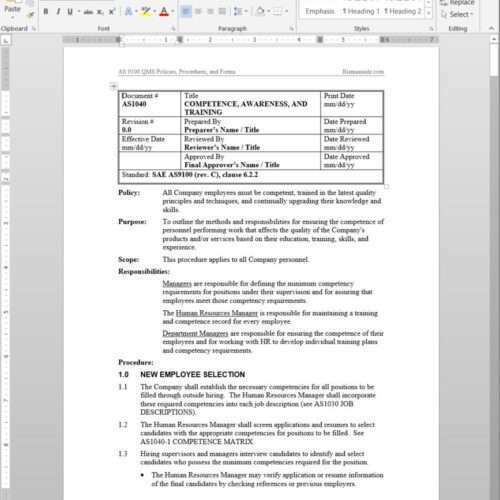 Characteristics of control include such things as Revision Number (letter), Signatures indicating review and approval, and Controlled Distribution. 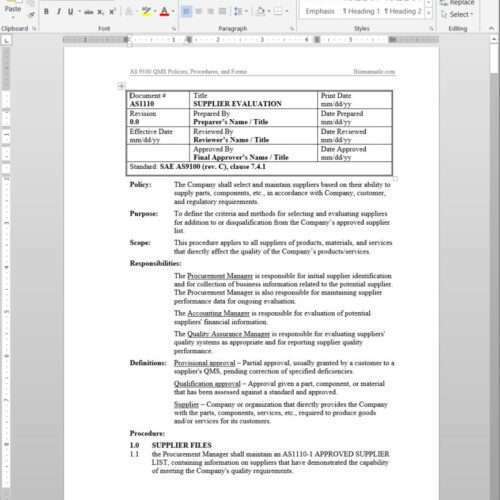 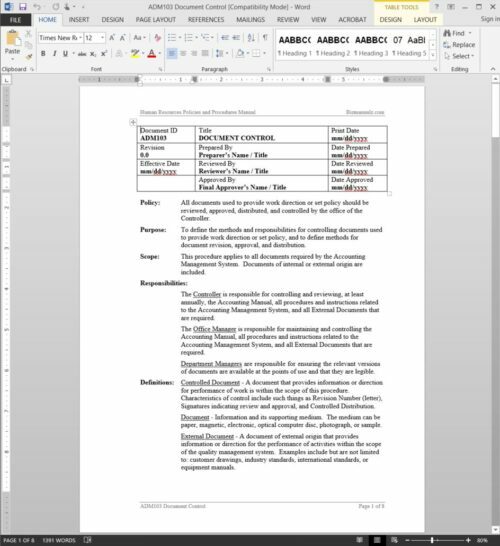 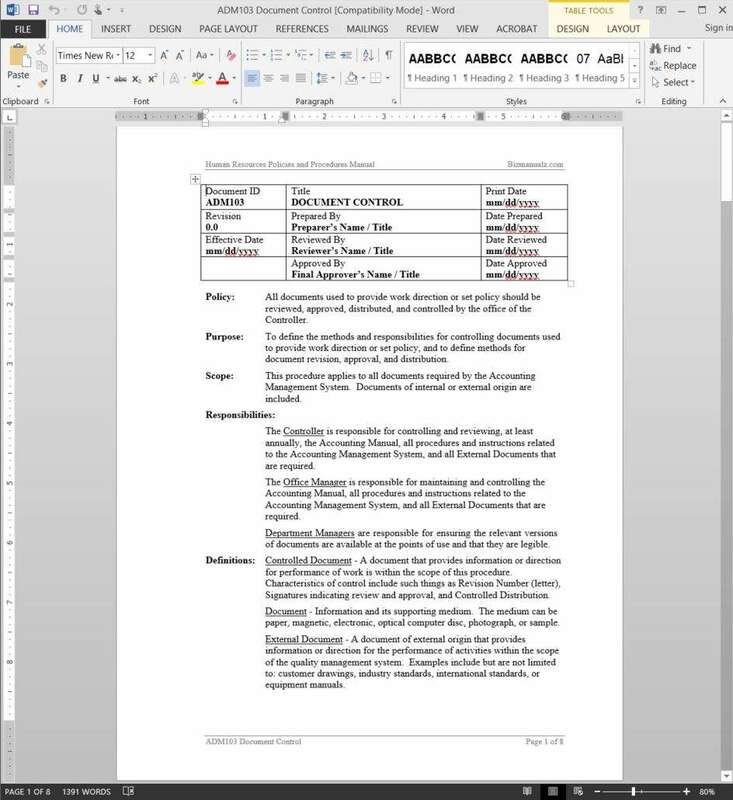 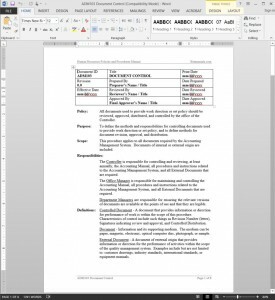 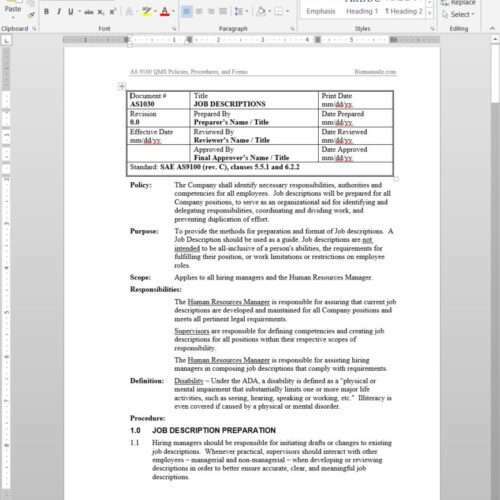 External Document – A document of external origin that provides information or direction for the performance of activities within the scope of the company management system. 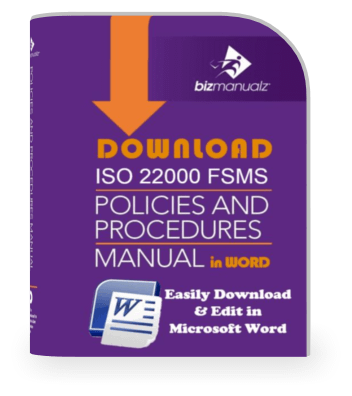 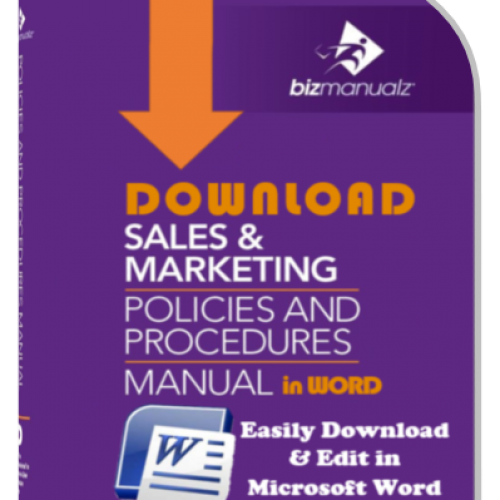 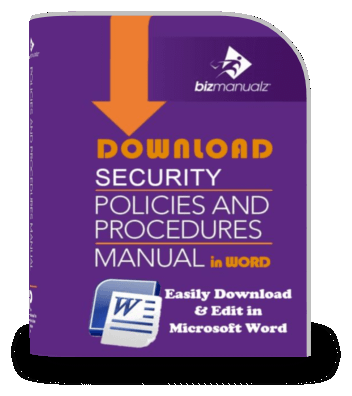 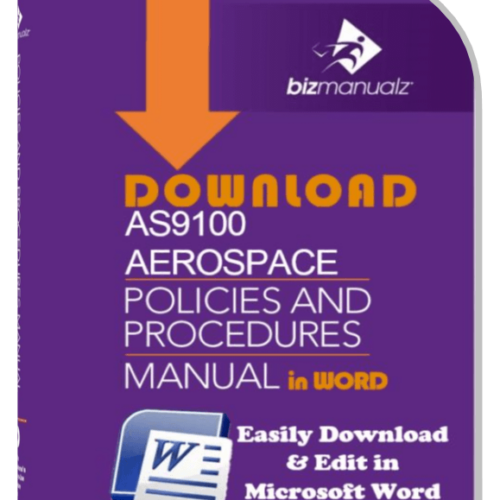 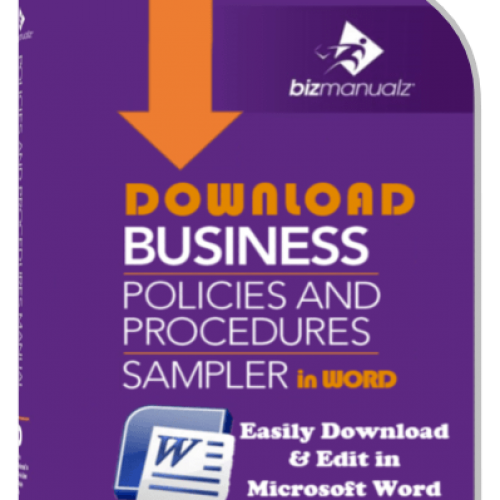 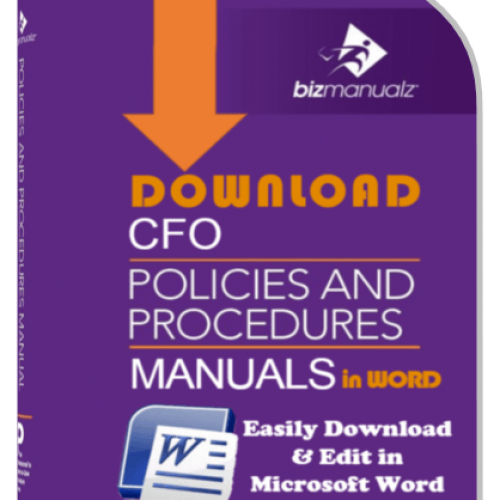 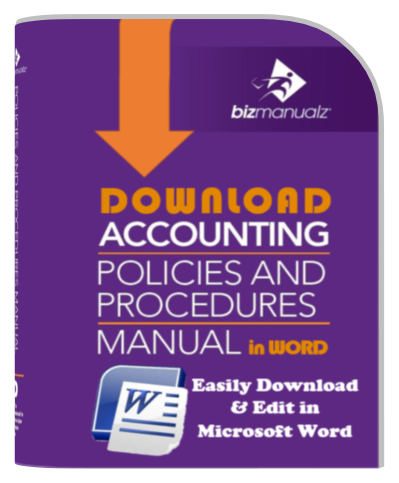 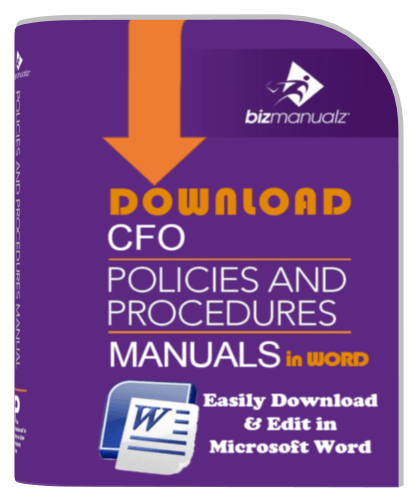 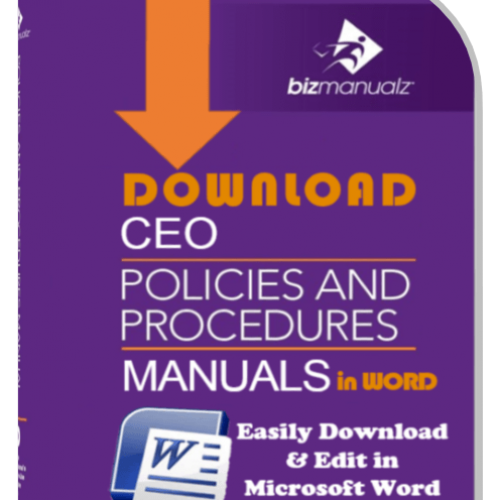 Examples include but are not limited to: employee manuals, hiring documents, and personnel forms.